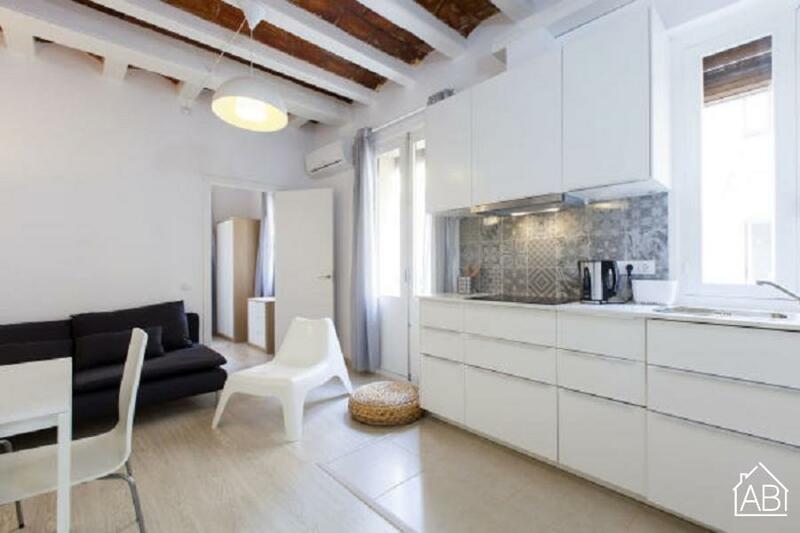 This apartment is ideally located in the Barceloneta neighbourhood of Barcelona. This apartment is just a few minutes walk from the beach and is surrounded by countless bars, restaurants, cafes and supermarkets. The rest of Barcelona is easily reachable by public transport. The apartment can be found on the 3rd floor of the building, which is situated right next to the street Passeig de Joan de Borbó. The apartment itself has recently been renovated, and is modern and well equipped. The bedroom has a double bed making it perfect for couples or those living alone. It has central heating and air-conditioning for your comfort.